After the breakup of his gothic rock band The Marked, singer and guitarist Billy Corgan left St. Petersburg, Florida, to return to his native city of Chicago, where he took a job in a record store. While working there, he met guitarist James Iha. Adorning themselves with paisley and other psychedelic trappings, the two began writing songs together (with the aid of a drum machine) that were heavily influenced by The Cure and New Order. 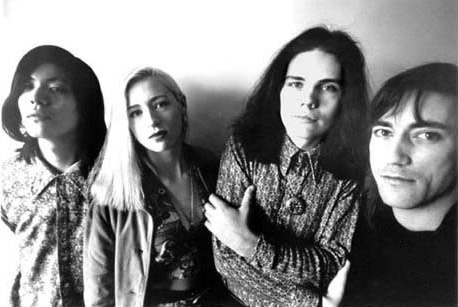 Corgan met bassist D'arcy Wretzky in 1988 after a show by the Dan Reed Network where they argued the merits of the band. After finding out Wretzky played bass, Corgan stated his band's need for a bassist and gave Wretzky his telephone number. Wretzky soon joined the band, and she and Iha later had a short-lived romance. Iha and Wretzky later acknowledged that Corgan's friend Bob English had coined the name "Smashing Pumpkins."